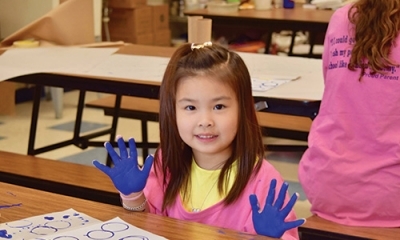 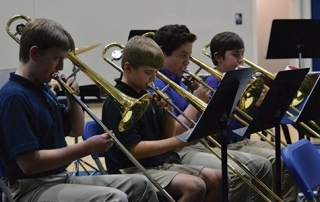 We embrace the arts because we aim to strengthen students’ capacity to learn. 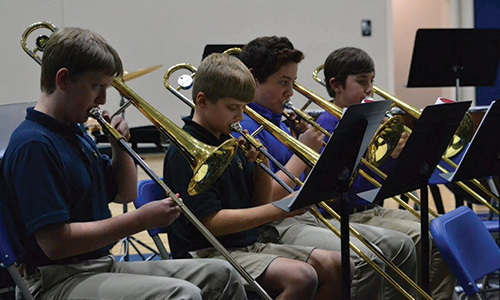 We embrace the arts because we aim to strengthen students’ capacity to learn. 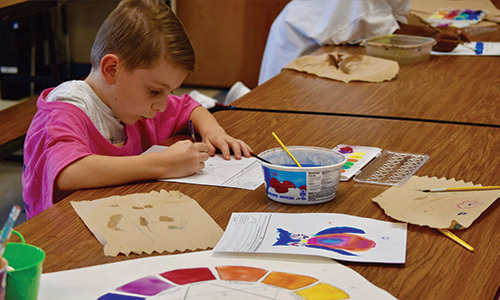 In addition to giving our students a leg up in core academics, we believe in helping our children experience all the beauty found in Cultural Arts. 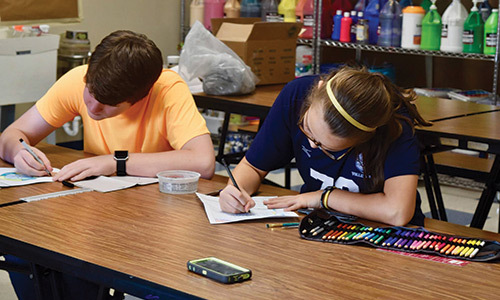 These classes both enrich our students’ critical thinking skills and help them become well-rounded students that are sought out by premier colleges and employers across the country. 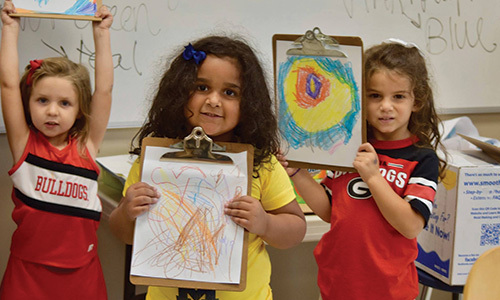 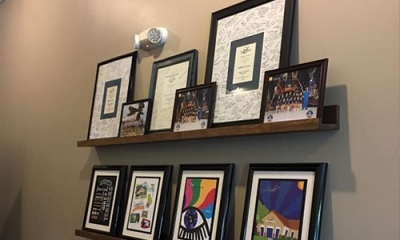 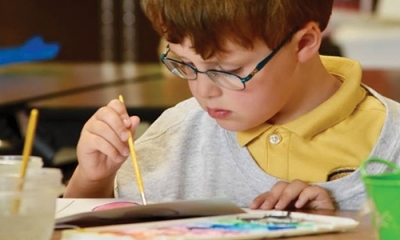 Education in the arts has proved to increase cognitive development, inspire motivation and discipline, develop confidence, and improve communication and problem-solving skills. 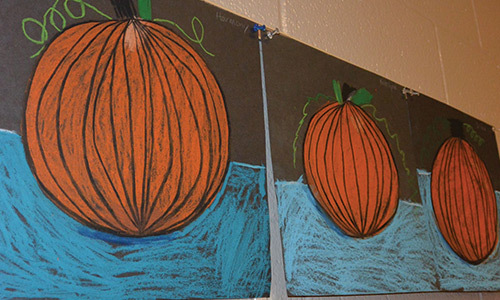 The Lyndon Academy Art Department is the fastest growing department in the school, outpacing the athletics, languages and sciences. 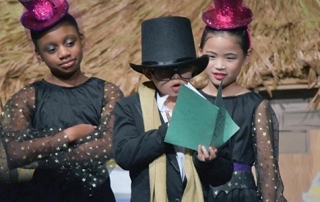 We not only embrace the arts we encourage our students to use them as a tool for self-discovering. 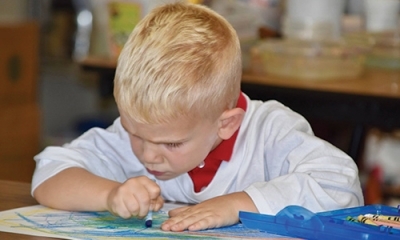 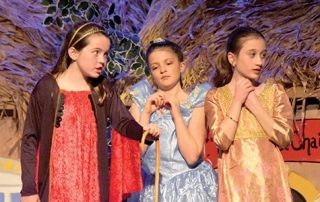 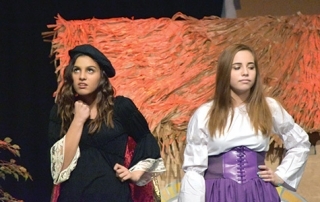 At Lyndon Academy we offer exceptional courses encompassing Visual Arts and Performing Arts. Watching our students grow artistically in the visual arts is a truly amazing thing that happens at Lyndon Academy. 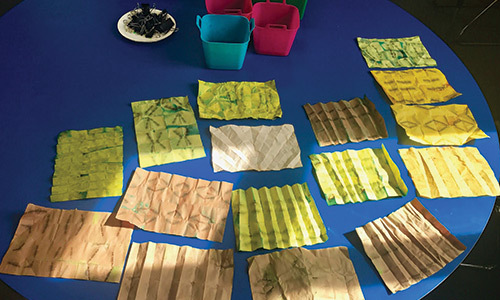 Whether it is watching our young students learn to express themselves artistically through experimentation or watching the older students flourish as they explore different art forms the work they produce is awe inspiring. 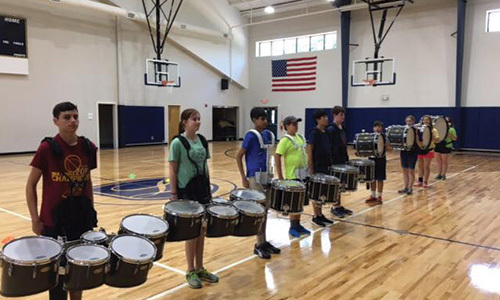 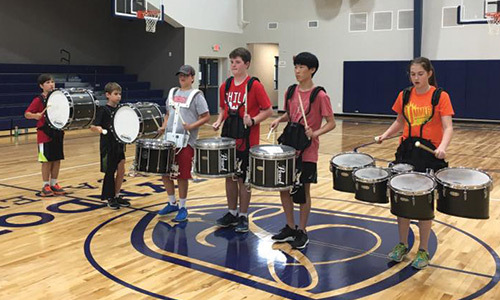 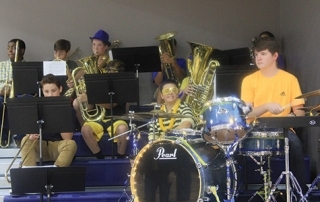 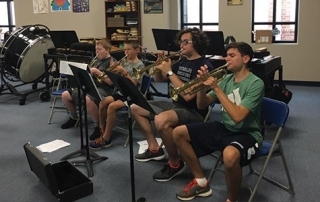 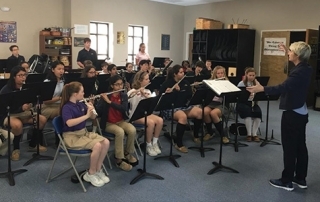 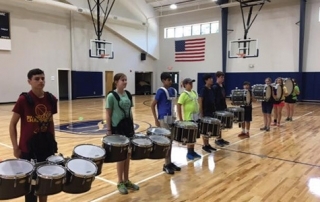 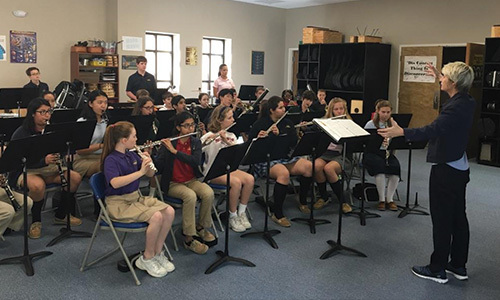 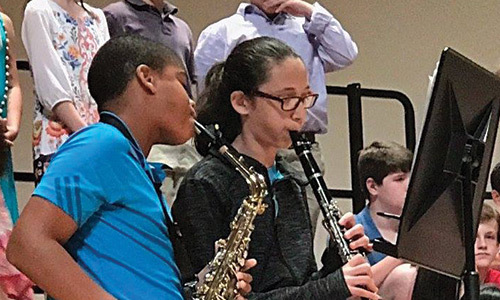 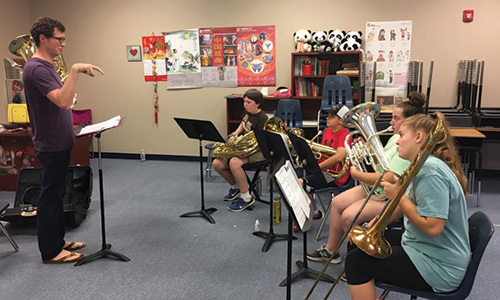 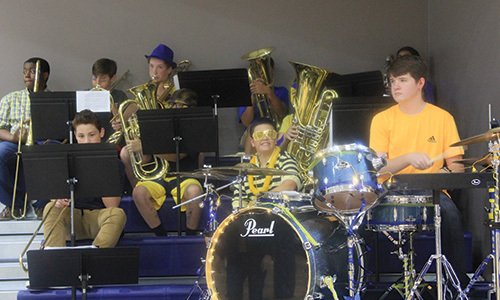 Our band program has experienced tremendous growth since it began in 2015. 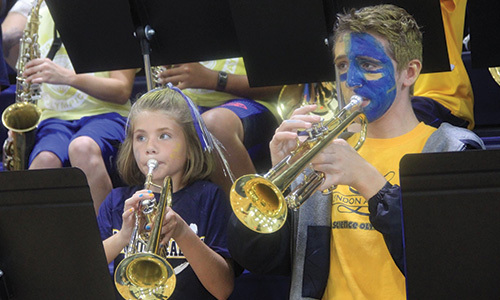 Now over 50% of students in 4th grade through 10th grade participate in band. 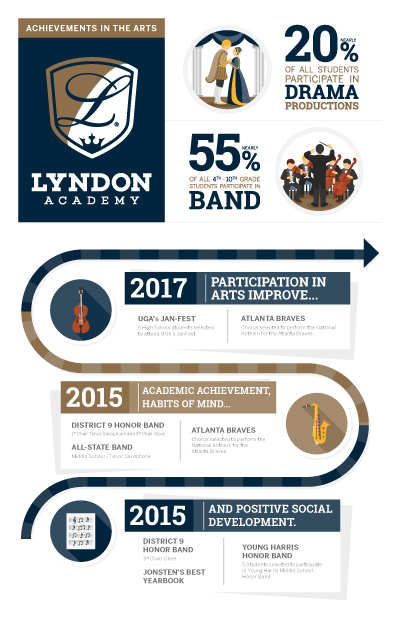 We offer concert band, pep band, percussion ensemble and in 2017, Lyndon will begin to march in preparation for marching band. 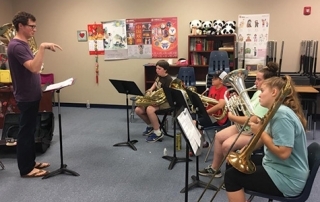 As a member of GMEA, Lyndon is actively participating in District 9 Band, Honors Band, All-State Band, and JanFest. 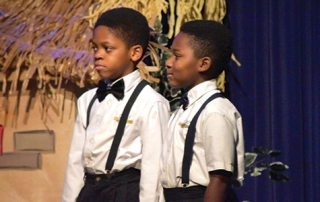 The Lyndon Academy Chorus is a non-auditioned group that encompasses the entire student body. 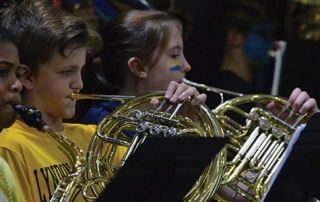 During the first semester, students prepare for a Winter concert in December. 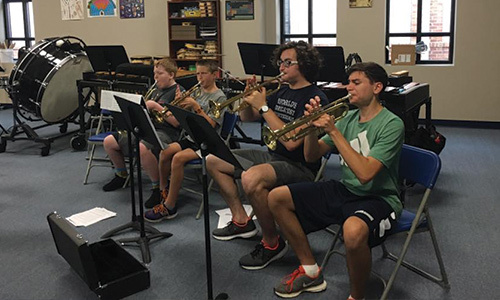 This preparation happens is woven into their weekly music curriculum given them hands on experience with the concepts they are studying. 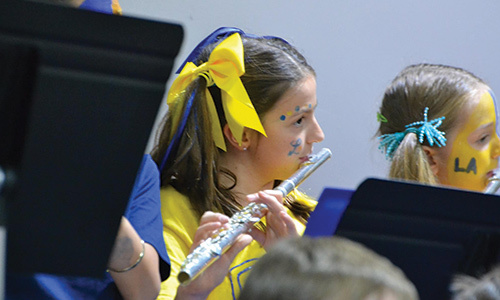 During the second semester the chorus prepares for the less formal thematic Spring Concert. 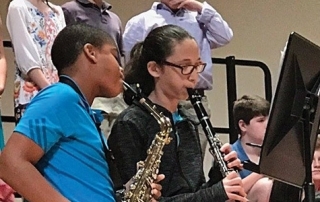 Each concert also features solos, small ensembles, and instrumental performances by Lyndon Academy students. 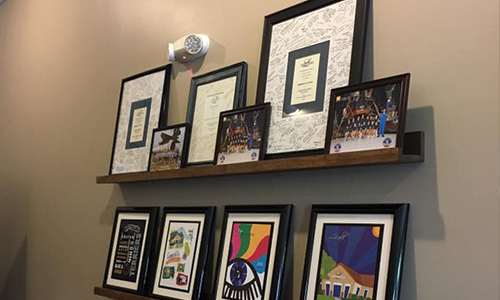 Lyndon Academy also is home to Noteworthy an elite auditioned choral group that performs primarily acapella. 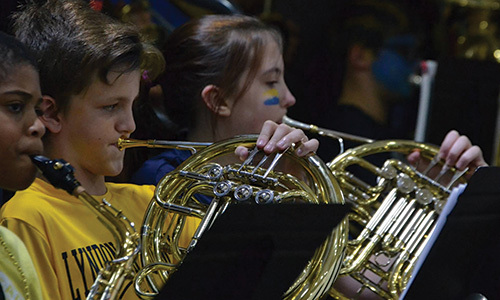 Noteworthy performs at many on-campus and off-campus events. 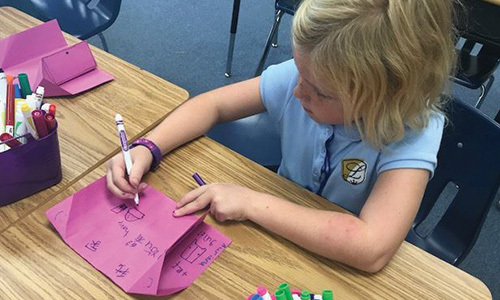 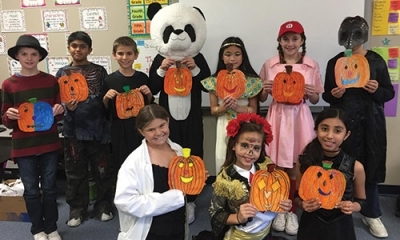 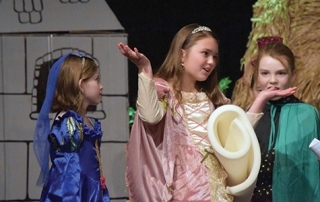 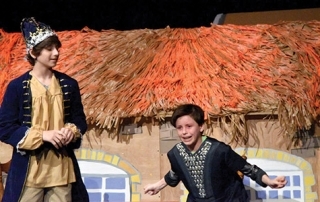 Beginning in the 3rd grade Lyndon Academy students have the opportunity to select drama as an elective for the year. 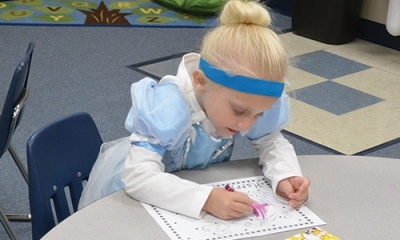 This group meets weekly during the school day to explore acting, singing, and movement. 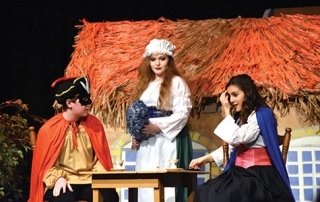 Each semester participants have the opportunity to audition for roles in a new play or musical.